Depending on your budget this holiday, you may already have your eyes peeled for unique gift ideas with a high perceived value that will not cause you to go over your spending limit. UncommonGoods is a great source for unique gifts for everyone on your list, from gifts for wine lovers (like these) to gifts for Dad (like these). Here are a few ideas ranging in price from $8 to $30 . . . The Soup and Sandwich Ceramic Tray Duo is the perfect gift for a singleton, newlyweds, or empty-nesters. Priced at $30 for a set of 2, these bowl and tray duos can be used for soup and a sandwich, a salad and a sandwich, chips and dip, and much more. All pieces are also oven, microwave, and dishwasher safe. 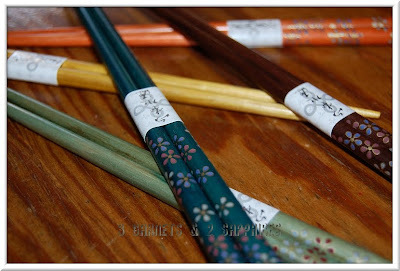 This set of 5 pairs of ornate Wooden Chopsticks sell on UncommonGoods.com for only $8. 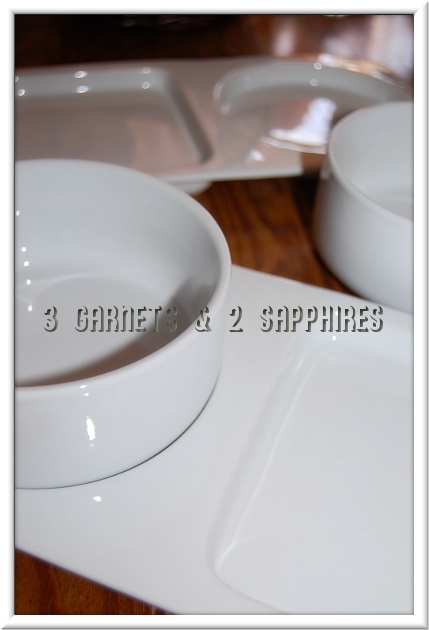 They would be the perfect gift for anyone who loves to cook or eat Asian cuisine. You could pair these chopsticks with a gift certificate to your loved one's favorite takeout restaurant. Since these chopsticks are made of wood, they would need to be hand washed. This Magic 16 Magnetic Puzzle is a 3d puzzle for children approximately 8 years old and up. 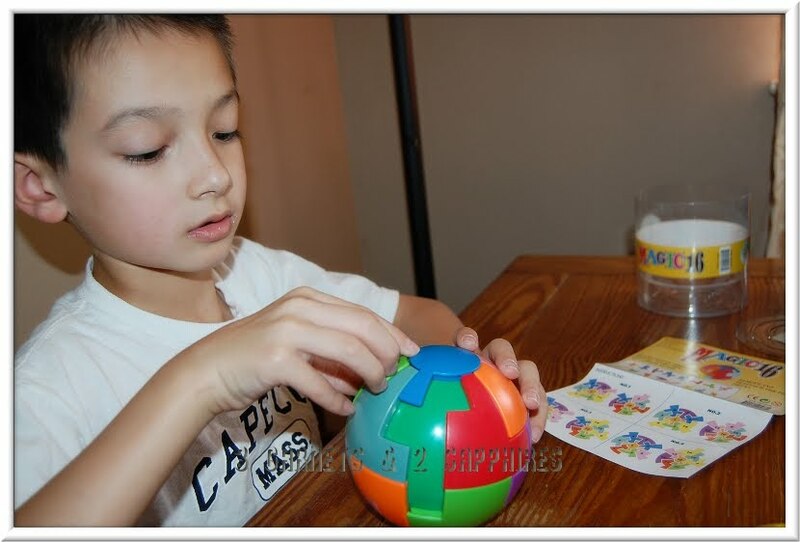 For just $16, this brain teaser toy would be perfect for a tween who likes to be challenged and enjoys problem solving. 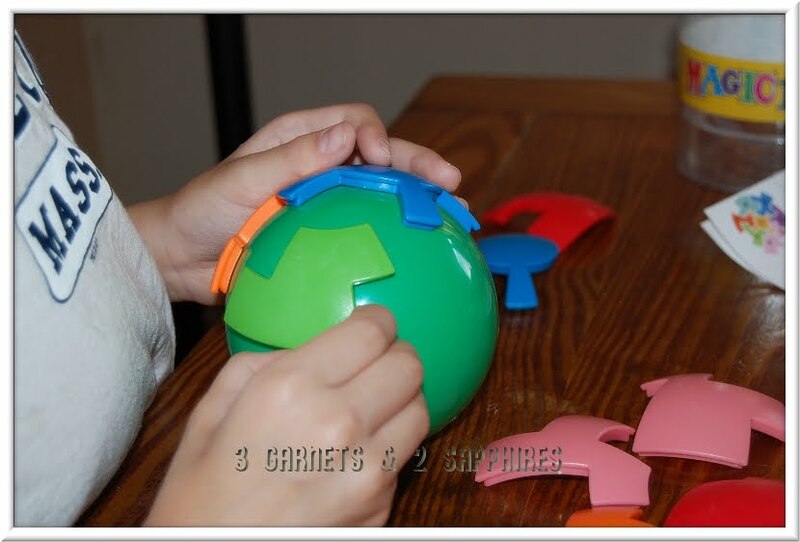 The 16 magnetic puzzle pieces can be reassembled around the sphere in multiple ways, so there is not just one solution to this puzzle. Our 7.5 year old son found this toy to be fun, but challenging. He needed to refer to the solution sheet for a little extra help. When he finally was able to put the puzzle back together, he was so excited and filled with self-pride. Thank you to UncommonGoods for providing complimentary product samples for us to base this review upon and for providing additional product for our contest prize. One lucky reader will receive their choice of product(s) from UncommonGoods (up to a $60 value). Use the Uncommon Goods voting tool to cast your vote (thumbs up or thumbs down) for one product that interests you. Then leave a comment telling me the name of the product you voted on. You MUST do this to be eligible to win this contest. 3) For 10 extra entries, sign up for the UncommonGoods mailing list. Then come back here and leave TEN separate comments telling me you did. 5) For 2 extra entries, follow UncommonGoods on Twitter AND share the following link on Twitter: http://www.uncommongoods.com/dining-entertaining/wine. Then leave a separate comment with the link to your Twitter profile. This contest will be closed on Monday, October 24th, 2011 at 10:00pm EST. A random number drawing will be held shortly after. The winner will be announced here and will be contact via email or through their blog. If the winner does not respond within 48 hours, a new number will be drawn.